The panel discussion on ‘Is radiology a viable business’ emphasised that viability is not based on funding, but on revenue generation. 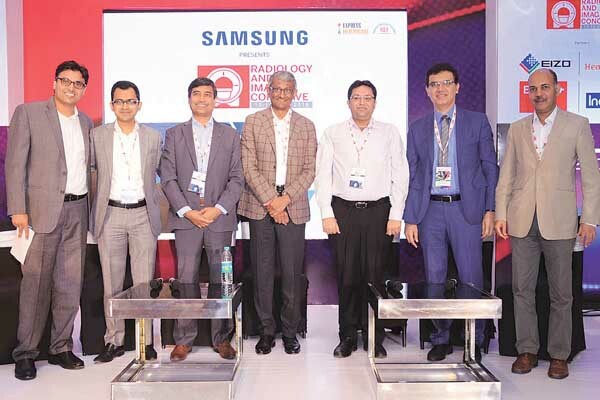 The panel was moderated by Dr Vidur Mahajan, Associate Director, Mahajan Imaging and the panelists were Rahil Shah, Director, NM Medical, Dr Avinash Nanivadekar, Chief Radiologist, Ruby Hall, Pune, Dr Bhavin Jankharia, Chief Radiologist, Picture This by Jankharia, Brijesh Suneja, MD, Phantom Healthcare, Dr Sanjeev Mani, Senior Radiologist, Mumbai and Dr Uday Patil, head of radiology, Aster Healthcare. The panelists discussed ways to make better investment decisions, acquire indepth knowledge of CAPEX in order to set up a new radiology businesses. They were of the opinion that hospitals should have their own radiologists rather than consultants. They agreed that the referral fee system is a huge challenge for young radiologist trying to do viable business and market research is significant to the viability of any radiology business. One of the panelist was of the opinion that in order to make a business viable, it is important to invest in manpower satisfaction. Organisation should look at making workplaces more manpower friendly, a lot of flexible time, leaves when needs, more creative environment, skill development opportunities, ideas sharing platforms should be offered to employees in order to make help feel involved in the business. These efforts could be beneficial in the long run.